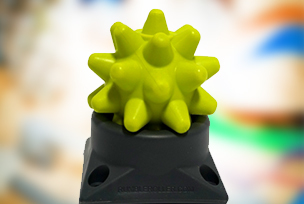 We have a full range of Rumble Roller products including Beastie Balls. The Beastie Ball and Rumble Roller go far beyond traditional foam rollers and massage balls. These are great for getting all the knots and kinks out of troublesome and hard to reach areas. Free Shipping. 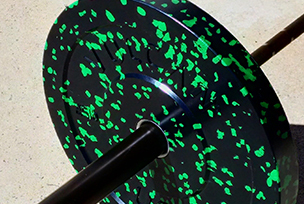 We've revamped our competition bumper plates to a better design as well as a unique look. The Vulcan Alpha Plates are made with a unique recycle rubber compound that out performs all other recycle rubber plates. 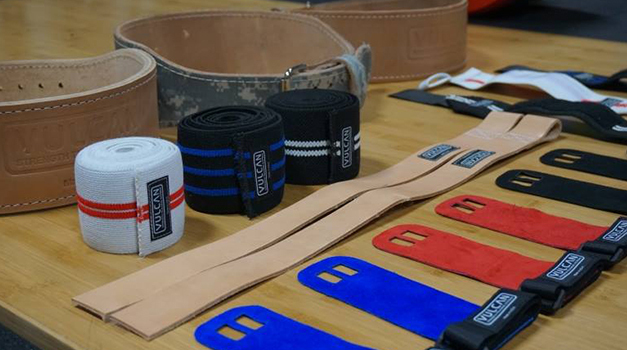 The revolutionary OSO Aluminum Collars are available now in three color choices. Free Shipping Now! Genuine Leather, sturdy safe textiles, and American craftsmanship define our accessory line. Free Shipping. We no longer sell the typical cast iron fitness kettlebell. We felt like you deserved better if you are serious about your training. After all, you can go to any big box sporting goods store or discount store and get those. Cast Iron is not the best material to make kettlebells from and the design of the typical fitness kettlebell is very crude and rudimentary. We Created the Absolute design for our competition kettlebells but anyone's performance can benefit from this design. We've found a way to create a steel kettlebell, with no filler or rattle inside at close to the price of cast iron kettlebells. Coming in December. We only changed the color of our med balls to a solid black. Many of the colored vinyls discolor and fade over time. Black wears better than any of the colors and shows dirt less. We wanted to keep it simple. Just the Vulcan name and the weight number. The numbers are large to assist trainees and coaches to identify weights easily and quickly from a distance. Great for any workout and especially competitions. The print is a very clean, and high tech mildly reflective light gray color. 30 month warranty on our Med balls. We will have some sales for Black Friday but don't let that stop you from beating the rush. Purchase any product now and if it it goes on sale within 45 days or your purchase we will give you store credit for the difference in price. You have nothing to lose and everything to gain. Often times we do sell out of some key products during the holidays. Hope this helps you plan your shopping effectively!